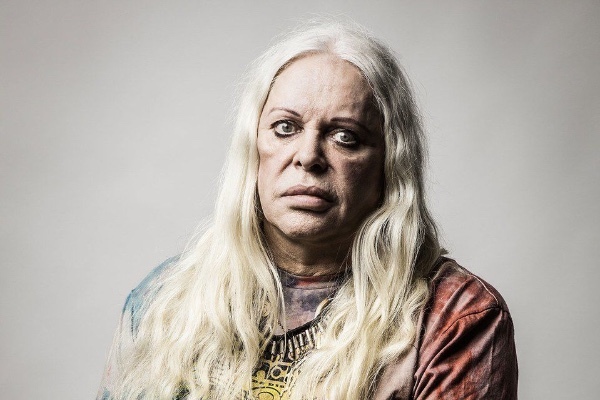 Fundraiser for Genesis P-Orridge by Chandra Shukla : Help Genesis Breyer P-Orridge Pt 2! Help Genesis Breyer P-Orridge Pt 2! Genesis STILL needs your help! YES HELLO Dearest friends. Genesis P-Orridge is not doing better and is faced with surmounted medical/hospital debt causing h/er to lose most if not all of the money raised for h/er despite medicaid, s/he is still faced with bills, the cost of living and has to pay for the instruments like an oxygen concentrator and oxygen from avoiding having to live in a hospital permanently since PTV3, h/er main source of income, has been put on hold indefinitely. Though the last fundraiser held by Douglas Rushkoff (Thank you Douglas!) helped pay off debt, most of it is dissolved. You haven’t heard from h/er because she has been in ICU this week and nearly died due to total kidney failure and on dialysis for 3 full days. We are planning on having a fundraiser for h/er again and a series of benefit concerts in different cities. Stay tuned. H/er battles are still UP hill. THANK YOU. Hi again friends. Just for clarification and purposes of intent, I want to be clear about something we/I’ve been accused of. We are not “juicing” or “milking” fans, this is not a front, we are not parasitic and trying to take advantage of anyone. This is just an honest plea for help as you would for anyone you L-OV-E. The bottom line is Genesis is ill and unemployed, takes care of Musty and just h/erself usually, and things have just gotten worse. And s/he won’t ever say or let you know that s/he is “unable” or that things are bad. Never. Gen’s also become extremely modest and shy, which is unlike h/er normally, but I’m realizing after speaking to h/er yesterday that s/he would never ask for your help directly so myself, like Douglas Rushkoff, am asking you to donate. Yes even AGAIN, if you can. And some of you are doing it again. Some of you simply can’t as you need to take care of yourselves and other debts etc. and may have already helped out the first time around and that is totally understandable. Totally fine, this is a non-obligatory request being done for an honest and good cause. Things have just gotten so bad that all we can do really is cry, some of us. Please if you can’t donate just spread the word to others you think might/could/would want to help. I donated last time but am jobless myself so I am organizing some benefit concerts in my area and elsewhere to help bring in funds in for Gen. What’s my benefit/interest in all this you ask? As a former PTV bandmate and friend, I am doing this simply because I was going to work on a book with Gen, one we’ve been working on well over 23 (now almost 24) years and has been put on hold countless times and more recently because of the obvious health concerns. What are they? Leukemia, diabetes, asthma and now kidney disease. I came to the conclusion that the first fundraiser wasn’t going to be enough to pay off already established costs for aforementioned uses after discovering that most of the funds were already eaten by medical debt. So in an attempt of desperation and panic, I started a second fundraiser, after the words “total kidney failure” were texted to me. I just want Gen to be healthy and focused enough so that s/he can be in a state where s/he can focus, create and do what s/he does best like s/he has for all of us over thee yeras. Nuff said, thank you .